Just when you think you have seen it all, WHAMMO, a story jumps out and kicks you right in the face. At least that's the way I felt after reading the story. 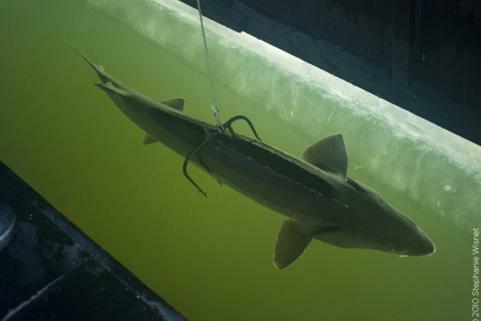 On Lake Winnebago every winter people gather with decoys and pitch for spears in hopes of spearing that monster Sturgeon. 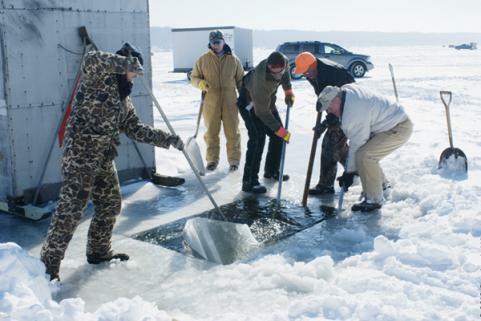 Modern spearing dates back to the early 1900's in Wisconsin, it's a tradition that seems to have been around forever. Decoys are lowered beneath the ice to draw the fish in. That's what the decoys look like. 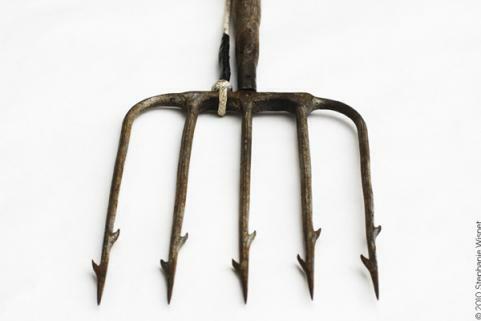 Once the fish comes in for the decoy it's stabbed in the back with a pitch fork spear. These spears weigh 25-40 lbs. That's a nasty looking spear. That's a Sturgeon that has been speared. Its a sneak attack on the fish. This method of fishing does have rules and regulations and is monitored. Sturgeon are not the only fish that are speared. 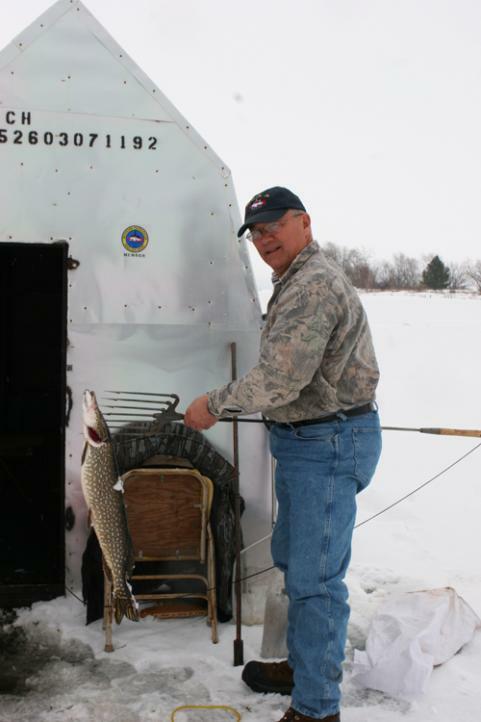 Pike will venture into decoys and they are also speared. I just don't see the sport in this method of fishing. Also there is no chance of catch and release with this method of fishing. This day in age you would think we have evolved enough to ban these kinds of practices. Especially when it comes to such a prized fish like the Sturgeon. This story leaves me shaking my head. I will include the link to the story below. Just for the record, spearing of Carp and White Sucker is legal in Ontario. There are rules and regulations that go along with this. Spears cannot be possessed on or within 30 m(98ft) of the edge of any water body except when fishing for Carp or White Sucker as described in the regulations. 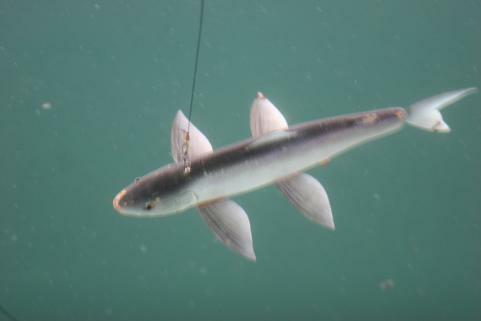 There are rules and exceptions in the regulations that must be read before anyone intends on spearing in Ontario.